THE SEVEN CANDIDATES for the presidency will appear on the Late Late Show tonight. But while all seven will be involved in the debate, only six of them will be receiving an initial individual interview with host Ryan Tubridy. TheJournal.ie understands that David Norris will not be receiving the interview in which candidates are allowed to present reasons why voters should plump for them – because he was already the subject of an interview on the Late Late two weeks ago. That interview was a great deal longer than any which the other candidates will receive tonight. The Presidential section will not kick off until part 2 of the Late Late Show tonight, after an interview with Jedward. In a bid to change up the running order in which the candidates appear from debate to debate, RTE are believed to have conducted a draw to determine who goes first tonight. Gay Mitchell will be first out of the traps according to the results of a draw overseen by PriceWaterhouseCoopers. 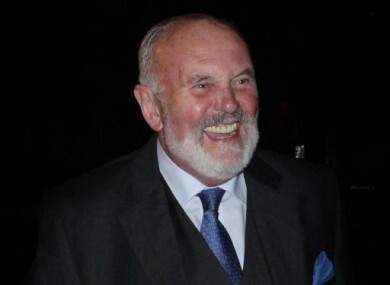 Email “No interview slot for David Norris on tonight's Late Late Show”. Feedback on “No interview slot for David Norris on tonight's Late Late Show”.